Baked & Pressed Powders For A Natural glowing finish. 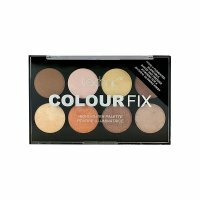 This Highlighting Palette Has A Shade Suitable For All Skin Tones & Requirements. 4x 2.1g & 4x 1.8g.